The House Ways and Means Committee spent hours discussing dozens of bills that collectively go far beyond the upper chamber’s major property tax bill poised to pass this week. And while the Senate spent the past five days — including the weekend— tearing through the 20 issues Gov. Greg Abbott wants addressed in the special legislative session, the House Ways and Means Committee on Tuesday tackled property taxes from several angles that collectively go far beyond the upper chamber’s major property tax bill that's poised to pass this week. 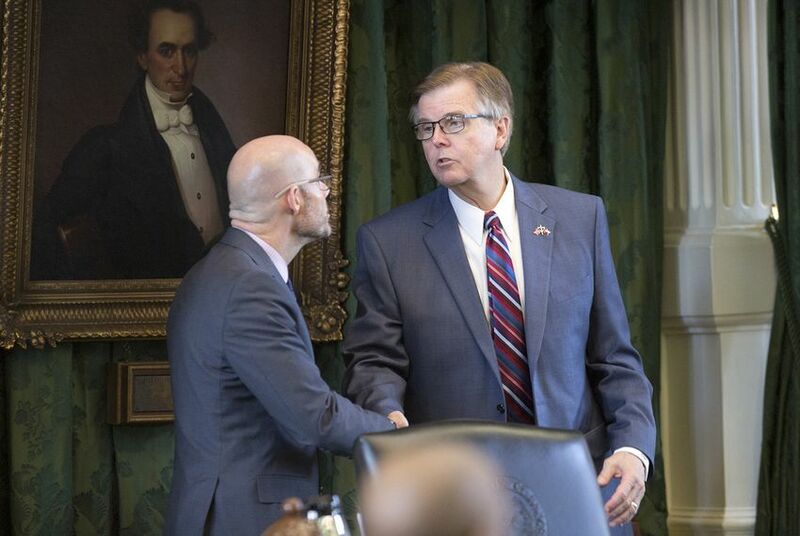 Among the legislation debated was House Bill 4 by state Rep. Dennis Bonnen, the committee's chair, which includes a provision that requires cities, counties and special purpose districts to get voter approval if they plan to increase property tax revenues on existing land and buildings by 5 percent or more. “None of this reduces property taxes at all,” he said. “It’s sort of ridiculous that there’s any level of suggestion ... that there is." HB 4 would require cities, counties and special purpose districts to get voter approval if they plan to increase property tax revenues on existing land and buildings by at least 5 percent. A similar election requirement is also part of Senate Bill 1, which was given preliminary approval in the upper chamber late Monday night. But SB 1 sets the threshold at 4 percent. The automatic election requirements are major sources of contention on the bills. Many city and county leaders say that will hamstring their ability to provide the services residents expect. They also say it could require costly elections and prompt local governments to finance more debt. But Bonnen defended giving voters the ability to weigh in when local governments increase tax collections. He also said many local governments that oppose the bill either aren’t large enough to be affected by it or don’t typically hit the threshold that will trigger an election. “We’re having bloody war over an issue that hardly affects most of our taxing entities,” he said. Bonnen also pushed back against criticism that lawmakers are focusing on city and county taxes when school district taxes make up the majority of property tax bills and have risen as legislators lowered the state contribution to public education funding. Bonnen conceded those points but said they shouldn’t preclude the Legislature from addressing the city and county portions of tax bills. “It doesn’t mean we can’t also deal with y’all,” he said. Other bills the committee discussed would extend property tax exemptions to Purple Heart recipients, lower the interest rate elderly and disabled residents are charged when they defer tax payments and cap residential appraisal increases at 5 percent each year. State Rep. Richard Peña Raymond, D-Laredo, introduced a bill and accompanying constitutional amendment that would cut school district property taxes one time and use $3 billion from the state’s Rainy Day Fund to cover what residents would save. “If we pass this out of the House, I don’t see how the Senate doesn’t vote on it and pass it, too,” Raymond said of his House Bill 190 and House Joint Resolution 32. Fort Worth Mayor Betsy Price, who was one of many city leaders noting that school districts make up the majority of property tax bills, liked that idea. “People would see relief,” she said.